Sprint Cup stars should not be used as crash test dummies. 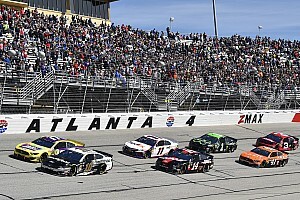 Harvick led the most laps at Atlanta but ended up one restart away from the win. Dale Earnhardt Jr. delivers a solid third-place finish at Atlanta Motor Speedway - his best finished at the track since 2008. Jimmie Johnson is now a 71-time winner in the NASCAR Sprint Cup Series. Jeff Gordon and Jamie McMurray join the No. 11 FedEx Toyota in the garage. Edwards continues his transition to a new team and new car. Joey Logano posted the fastest pole-winning speed at the 1.54-mile intermediate track (194.683 mph) since Carl Edwards ran 194.690 in qualifying for the fourth race of the 2005 season. Sprint Cup qualifying was delayed, but never started for some such as former champions Jeff Gordon, Matt Kenseth, Tony Stewart and Jimmie Johnson. JGR's development driver has plenty of potential, but if he exceeds expectations, what's the next step? Team Penske driver will lead the field to green in Sunday's Folds of Honor 500. Travis Kvapil plays the waiting game as police search for his stolen race car. 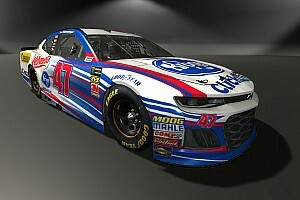 Joe Gibbs Racing ride is a chance of a lifetime for David Ragan. BK Racing provides opportunity for another aspiring racer. Circuit reacts to Kyle Busch’s leg-breaking crash at Daytona with increased safety measures. Consistency and familiarity with former teammates could be key to decision. SHR fills the seat with Smith once again.